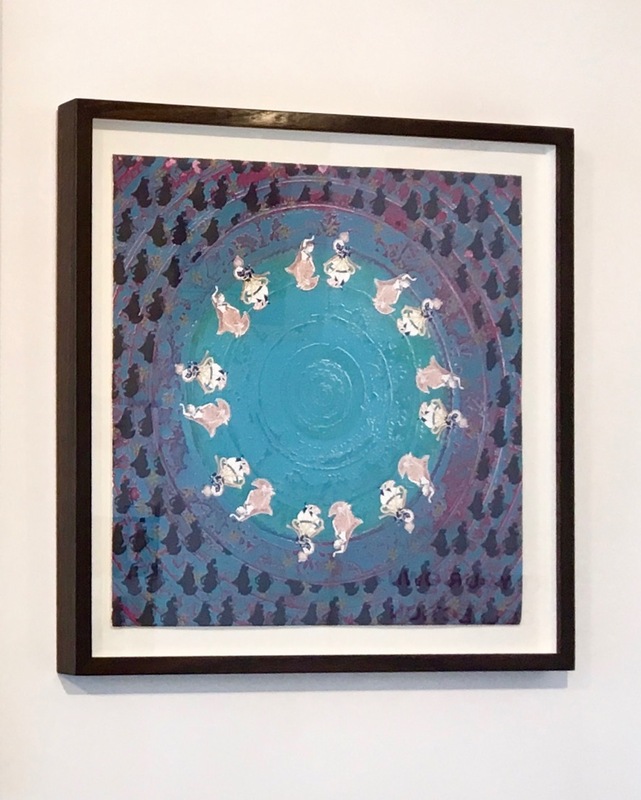 Natasha Kumar’s Rasa series is an extension of her fine architectural studies of chhatris, inspired by the stone-carved concentric circles on the underside of the chhatri dome. Rasa can mean emotion or essence: just as the hypnotising images of the series symbolise the harmony of circling planets, their vivid colours reflect the emotional essence of a mood. 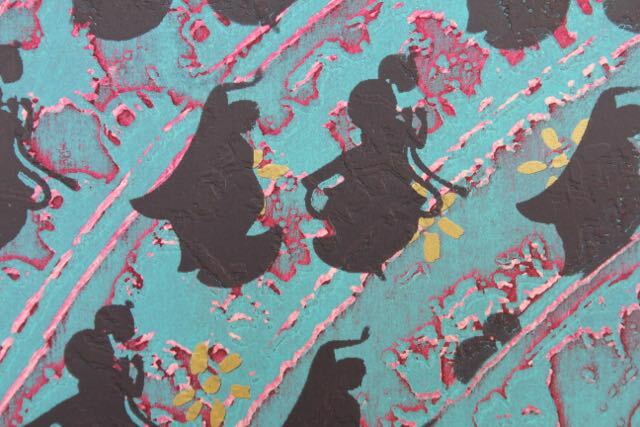 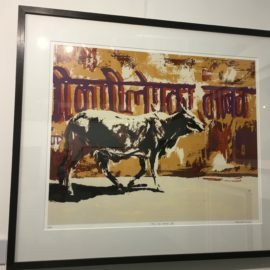 Delicate etchings and screenprints on paper with rich colours and deep textures, Natasha Kumar’s new Rasa collection brings together the abstract and the actual in vivid, hypnotising work that references Mughal architecture and her Indian heritage. 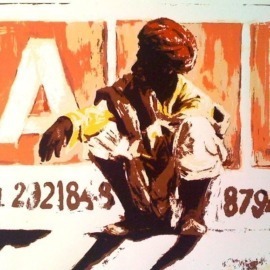 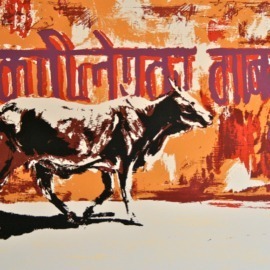 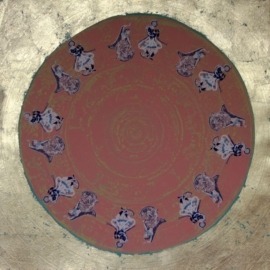 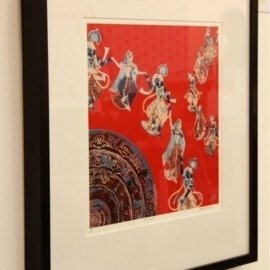 Kumar allows the viewer to share the gopi’s ethereal experience of the Rasa Lila. 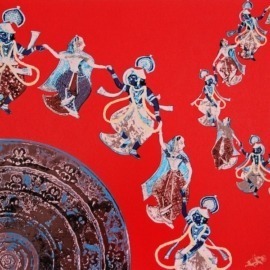 Each gopi feels that she dances with Krishna alone, the focus of his attention. 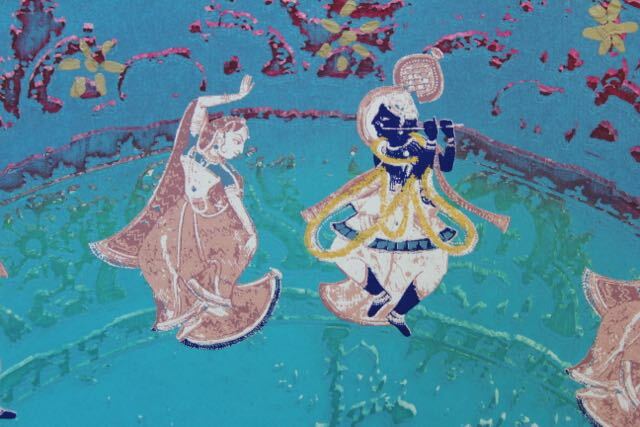 But taken as a whole, the work catches a glimpse of how Krishna reproduced himself a thousand times over to dance with every gopi simultaneously. 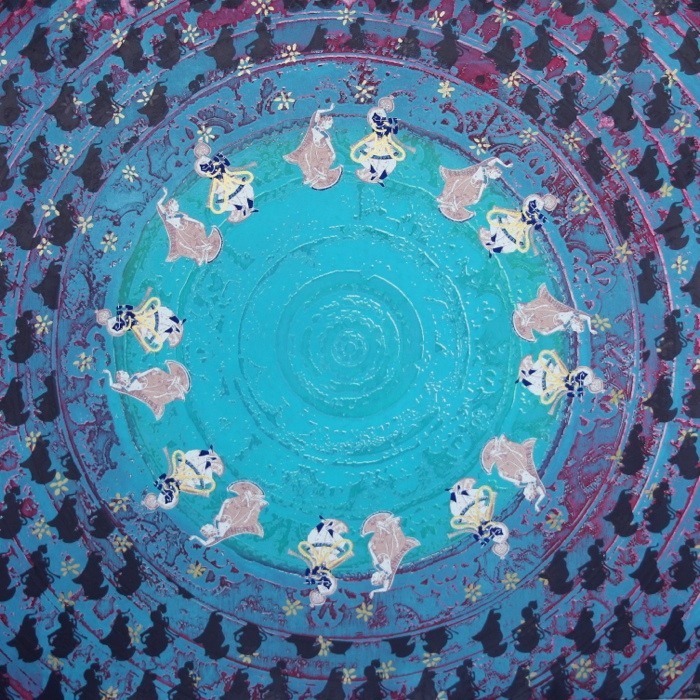 Natasha Kumar’s Rasa Mandala Series is a striking contemporary reinterpretation of a classical Hindu story.